de Sarthe is pleased to announce its second solo exhibition for T'ang Haywen, one of the three most important Chinese Post-war artists from the French diaspora, along with Zao Wou-Ki and Chu Teh-Chun. 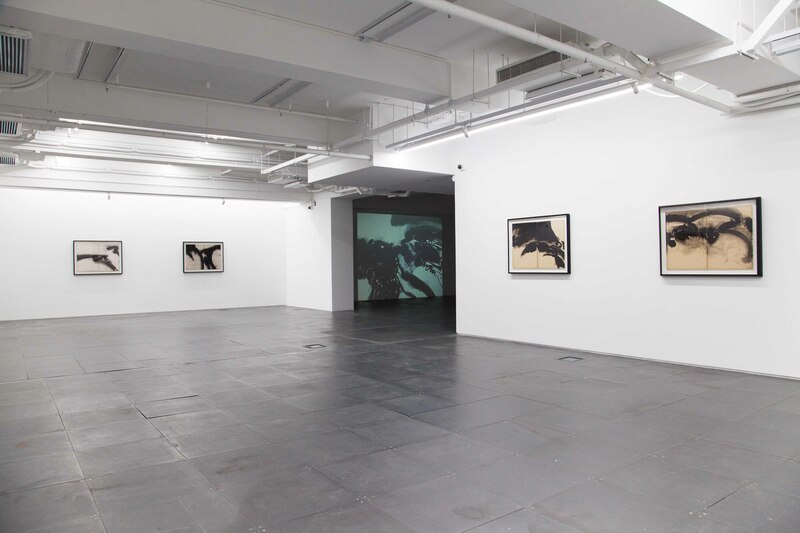 T'ang Boogie: film d'artiste & featured rare paintings opens January 26, and highlights an avant-garde 1973 film created by the artist in collaboration with filmmaker Tom Tam. A selection of rare paintings used in the film will also be displayed in the exhibition. The artist's film, titled "T'ang Boogie" is an early experimental work constructed to further explore deeper truths about nature and the subconscious. 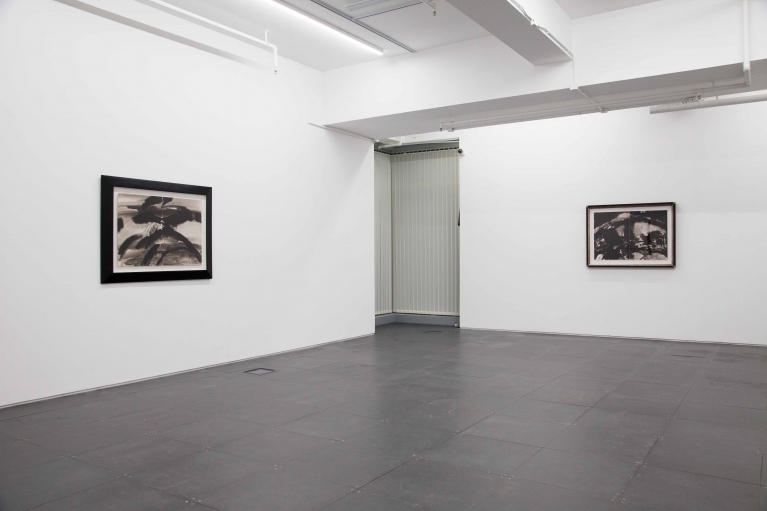 Throughout much of T'ang Haywen's artwork these ideas are explored in the context of traditional Taoist philosophies and Zen Buddhism. 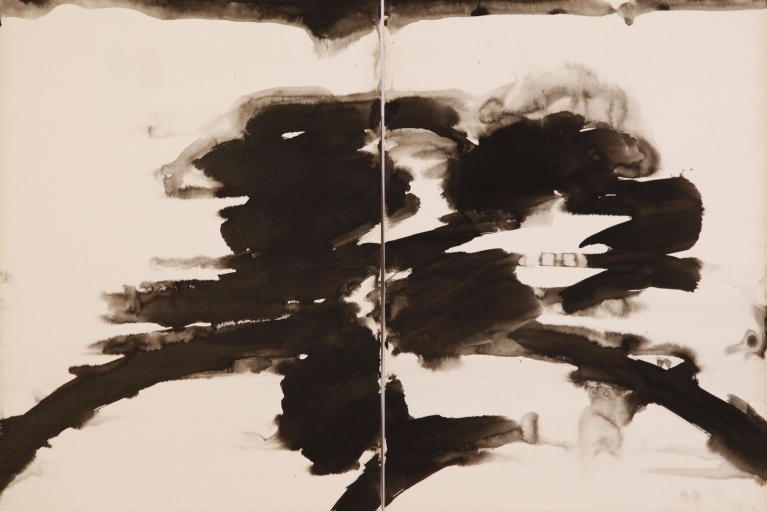 In "T'ang Boogie" the artist and Tom Tam quickly and repeatedly flash dozens of T'ang's ink on paper artworks one after another, altering both speed and order of succession, in order to create an striking sensory experience and visual effect. 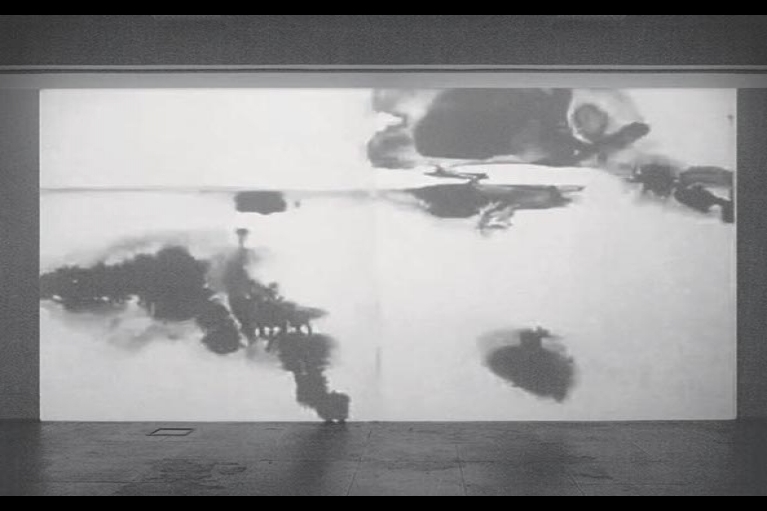 The immersive nature of the film and the speed with which the images are displayed provoke a visceral and mind-altering effect. 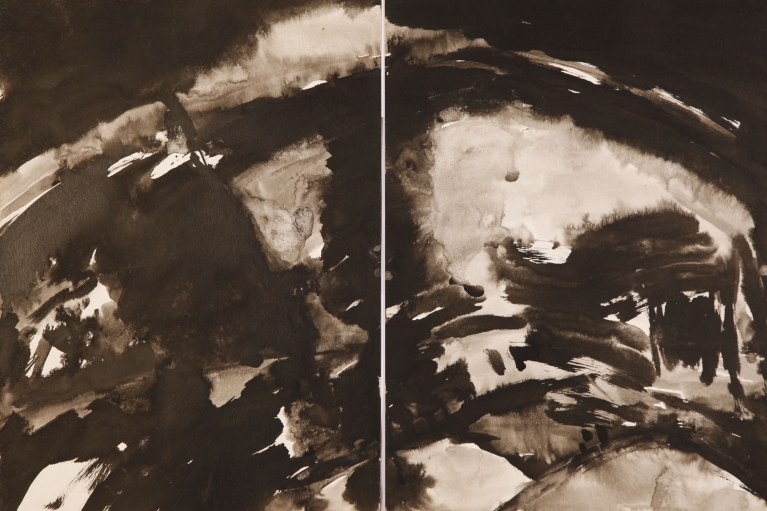 Displayed alongside the film are eight ink on paper diptychs, each of which is featured within "T'ang Boogie." On their own the works are an effort to create a visual language that represents the concepts of Taoism and Zen Buddhism. 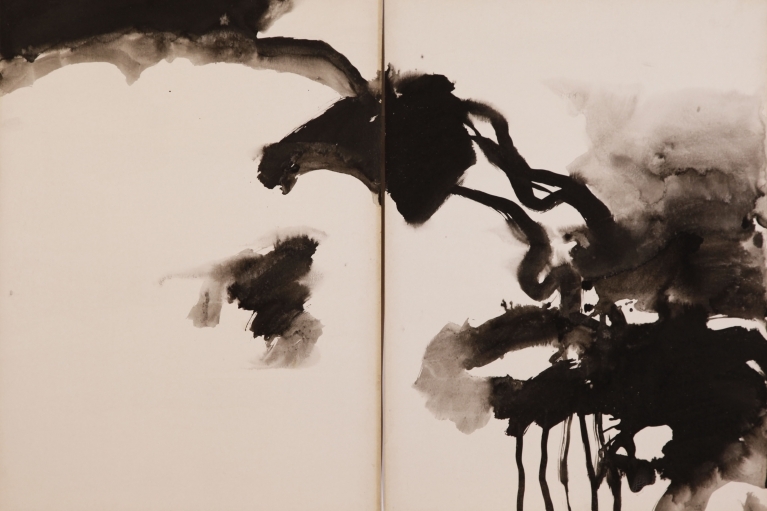 As an important figure in Modern ink, T’ang Haywen (1927-1991) born in Xiamen, China, belonged to the group of Chinese painters who settled in Paris after World War II and represented the third and final chapter of this generation of canonical artist expatriates. 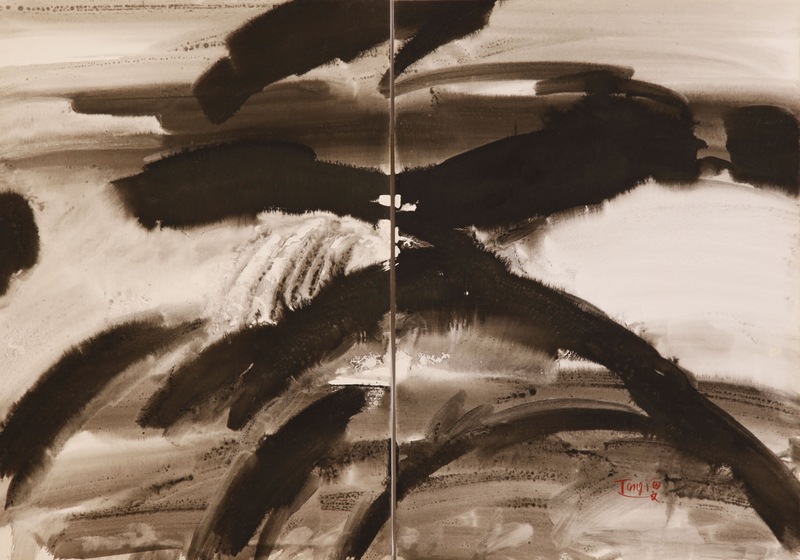 From ink to oil, T’ang Haywen’s gestural paintings imbue the pictorial space with flagrant yet subtle energy – simultaneously dynamic, textured, unrestrained and expressionistic. T’ang Haywen received no formal training in art, having moved to Paris in 1948 to pursue a career in medicine. 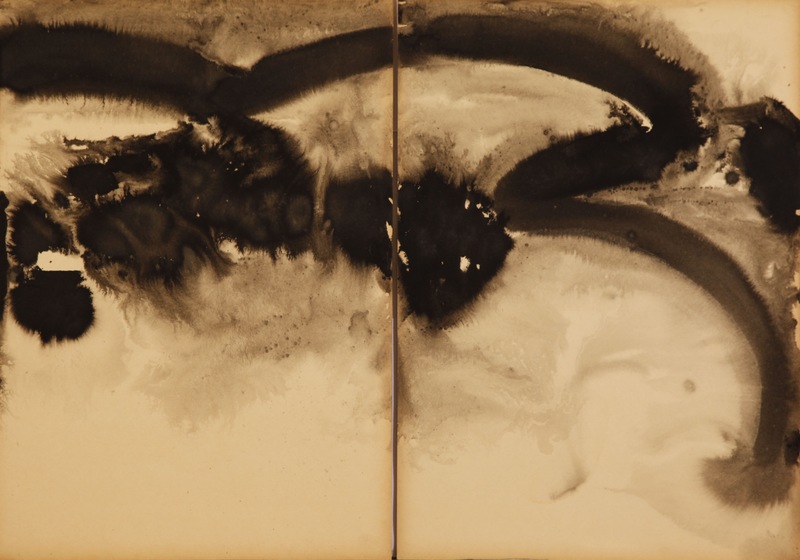 Once in France however, T'ang soon began to pursue his long-held ambition to be a painter by fully immersing himself into the cultural environment of the time. 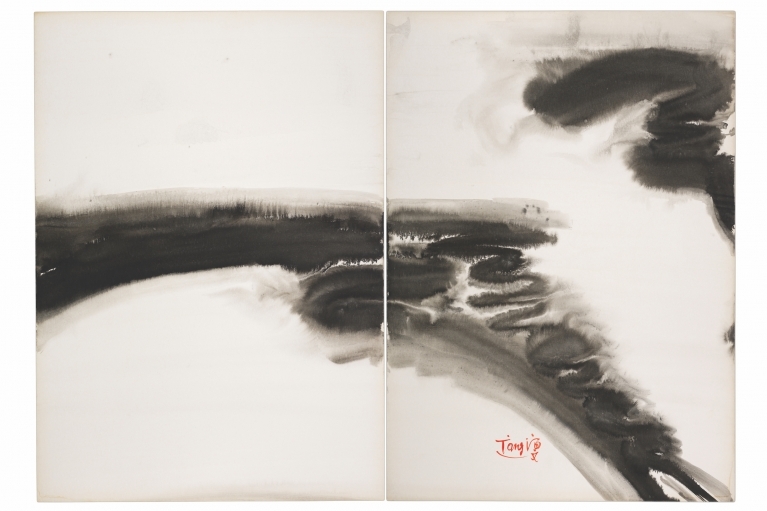 This has set him apart from his contemporaries in Paris, Chu Teh-Chun and Zao Wou-Ki, who studied under Lin Fengmian whilst the sources of T’ang Haywen’s art are to be found in the teachings of traditional Chinese calligraphy and Taoist principles. 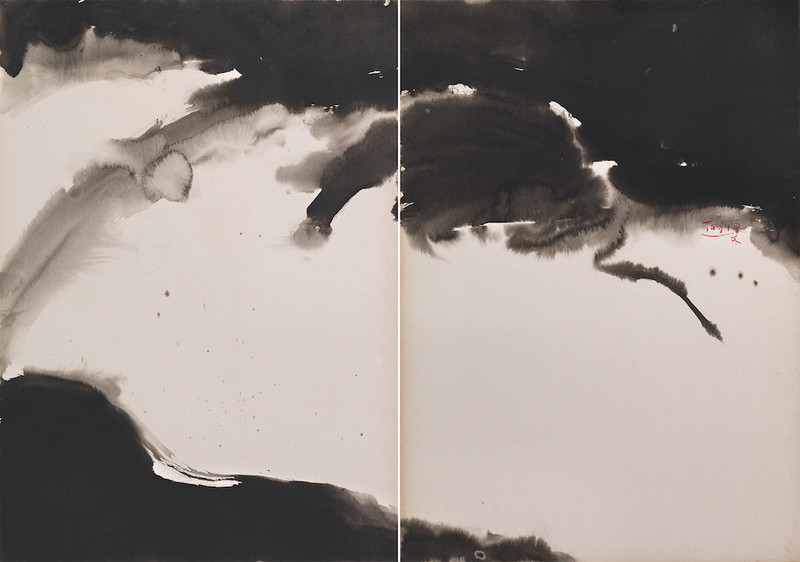 T’ang Haywen was predisposed to gouache, ink or oil on paper, and as an aesthetic exercise coalesced traditional Chinese elements of the abstract wash with the more lyrical style of the West. In T’ang’s practice, this format became systematic removing any preoccupations with the spatial dimensions he was creating under. 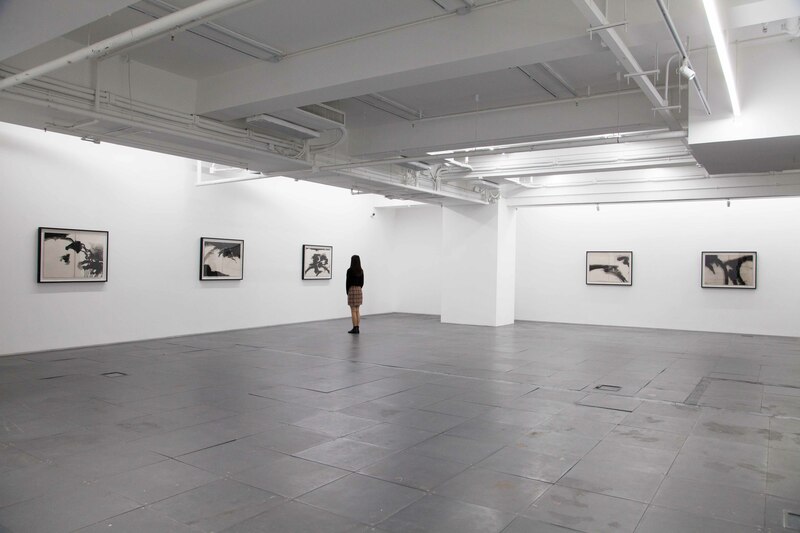 The dimensions define the artworks whilst conferring a recognizable visual identity to his oeuvre. 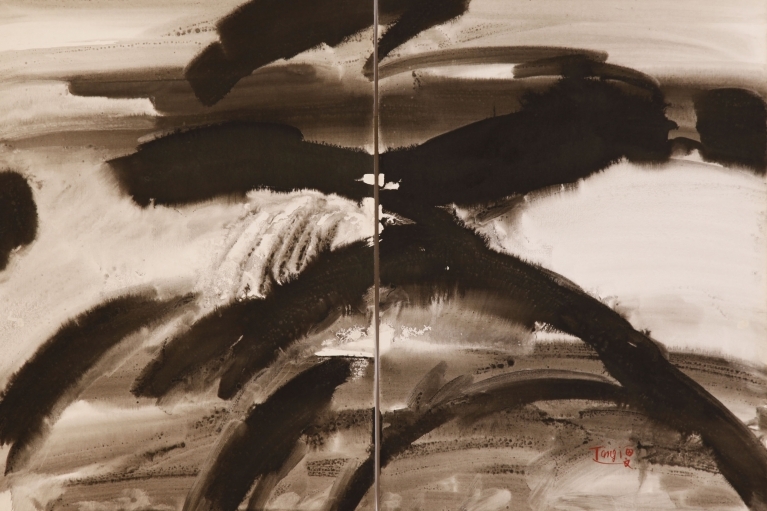 Born out of the juxtaposition of two sheets of paper combined as one, the diptych is vast enough to enclose the world, one which history has deemed to be uniquely that of T’ang’s. 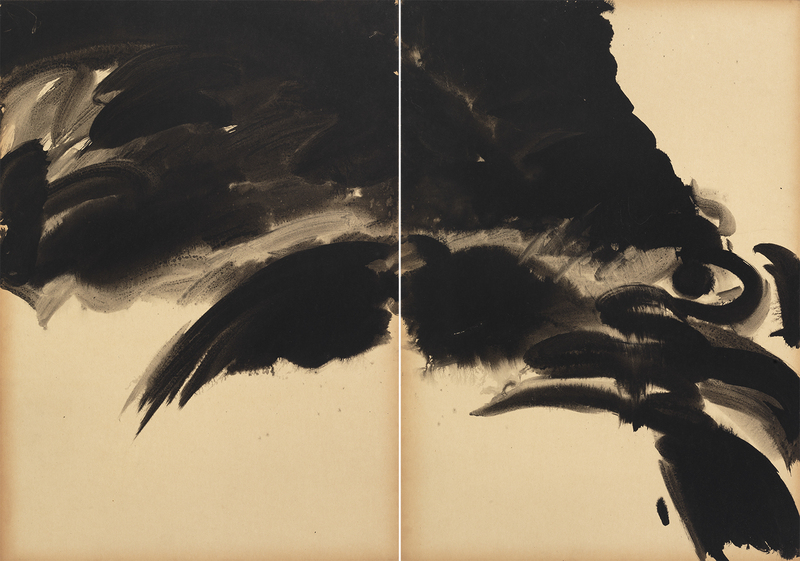 His revolutionary oeuvre transcended the cultural boundaries of the East and West. 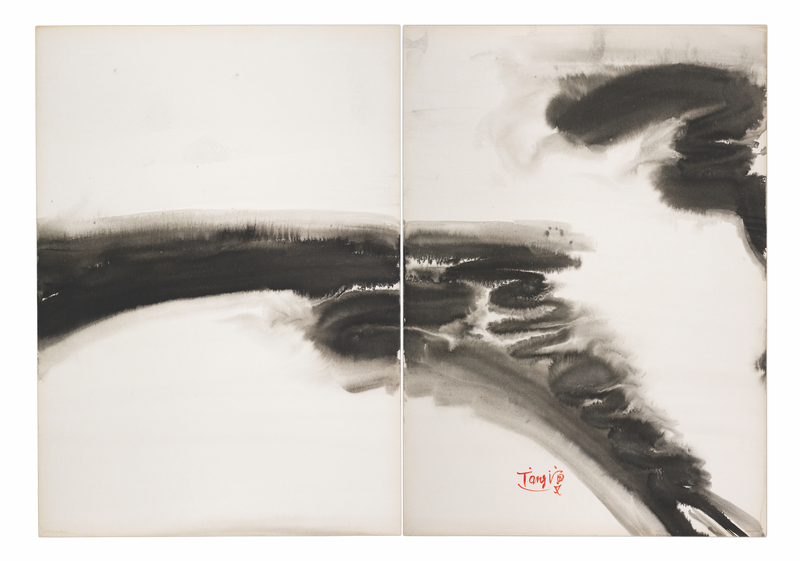 Employing innovative techniques, T’ang composes within the parameters of Taoist artistic ideals, espousing tenets of naturalness, spontaneity and simplicity. During the 1980s T’ang Haywen had significant exhibitions in France, with a diptych collected by Dominique de Ménil, then the most important collector of contemporary art in the world but refused to meet the great American collector Paul Mellon as his trip to Paris coincided with T'ang's insignificant trip to the west side of France. T'ang was not encumbered by notions with material success and did not gain widespread recognition during his time. He did however play an important role in the continued evolution of Chinese ink art developing a new language of lightness and depth. 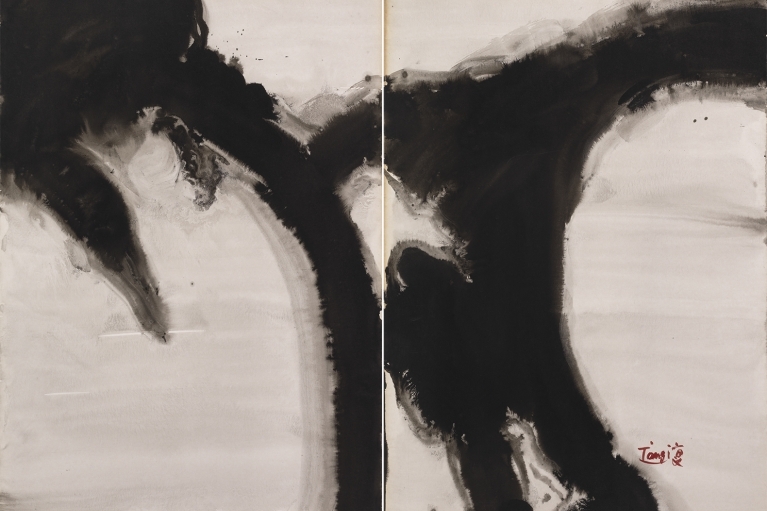 The artist was the first of his generation to restore to the medium of ink the power to translate the subtlety and complexity of the soul of China. 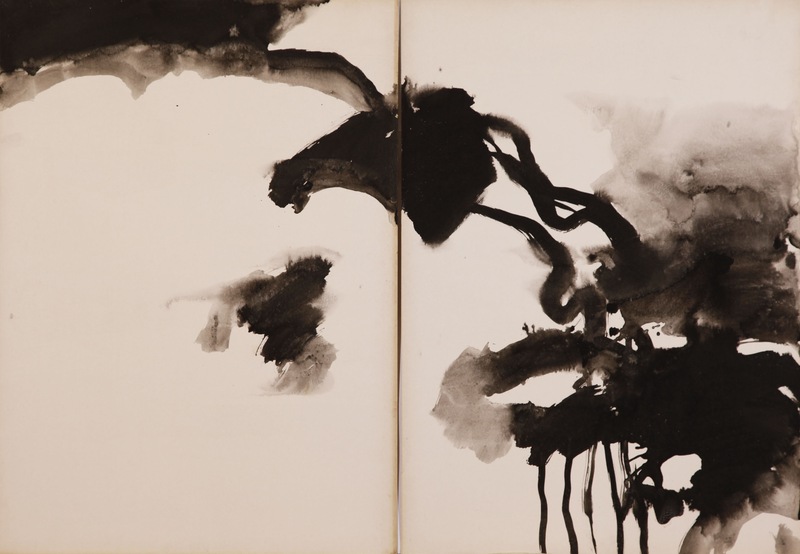 Recognition of T’ang’s artistic achievement culminated after his death in 1991, thanks to many retrospective institution-level shows: Oceanography Museum of Monaco (1996); Taipei Fine Arts Museum, Taipei, Taiwan (1997); Maîtres de l’Encre Chang Dai-Chien – T’ang Haywen – Zao Wou-Ki, Musée de Pontoise, France (1999-2000); Paths of Ink, Musée Guimet, Paris, France; Shiseido Gallery, Japan (2002); Breeze from Paris, Eslite Gallery, Taipei, Taiwan (2014), T'ang Haywen: Works from the 1960s to 1970s, Christie's, Hong Kong (2015).